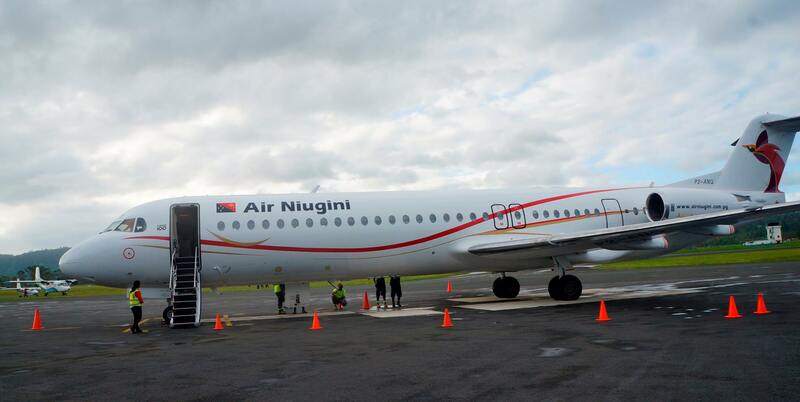 Air Niugini’s first commercial flight-PX 082 touched down at Bauerfield International airport in Port Vila, Vanuatu on Wednesday 24th June just after 4pm (local time) to a traditional hose down to mark the first flight. Outside the terminal was a group comprised of PNG community in Port Vila and the paramount chief and the people of Torba, a province in Vanuatu that adopted PNG into its community. They received Air Niugini with mixed feelings. The people openly expressed their emotions when they saw Air Niugini’s F100 operated by Captains Vincent Tongia and Rhys Molony landed for the first time on their home soil-some punched the air in jubilation, others simply shed tears of joy. Air Niugini General Manager, Customers and Markets Dominic Kaumu acknowledged the people for supporting and welcoming Air Niugini to Vanuatu. He said the airlines in the region have agreed to work together to develop and promote partnership in aviation services that can be beneficial to the Melanesian countries and ANG’s service to Vanuatu is inline with that idea. “ Papua New Guinea is a member of the Melanesian Spear Head Group(MSG) and the launch of ANG service to Port Vila promotes the ideals of the MSG in the airline industry.” Kaumu said. The scheduled service (PX 084) operates every Wednesday out of Port Moresby to Port Vila(Vanuatu) via Honiara(Solomon Island). The return flight operates the following day via the same route. The flight via Honiara also means an additional Air Niugini service to Honiara, bringing to total four direct services per week between Papua New Guinea and Solomon Islands. Apart from the ideals of the MSG, the new route also allows for growth of passenger and freight movements as well as tourism opportunities between PNG and Vanuatu. It is also an opportunity for companies here to enter into trading arrangements with companies based in Vanuatu using the existing trade agreements. “ For the existing PNG companies with interests in Vanuatu, this new route now opens strategic gateways and allow greater connectivity to more destinations in the region through Air Niugini’s interline partners strategic partner airlines.” Kaumu said. The launch of Vanuatu service now brings Air Niugini’s network in the region to three after Honiara(Solomon Islands) and Nadi(Fji) and the total international destinations to eleven(11). 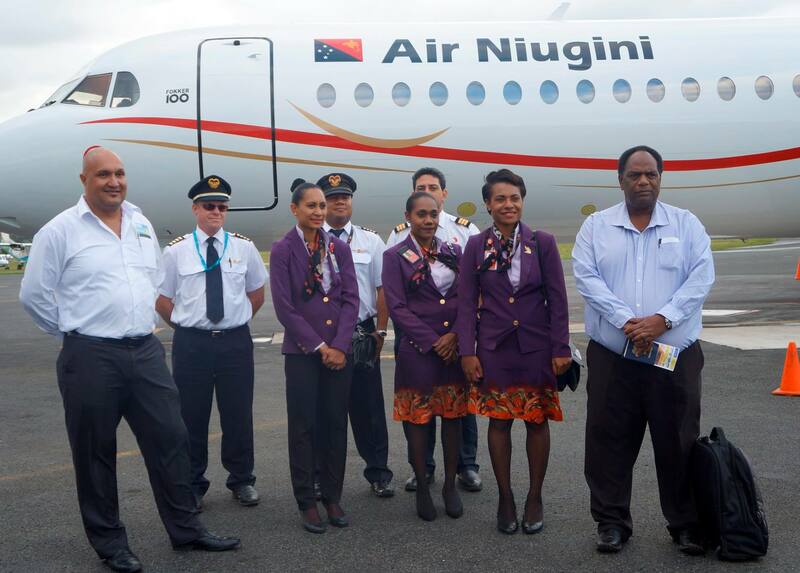 Air Niugini also flies to destinations in Australia and Asia.